Hello everybody and welcome to drawing tutorial on how to draw an Aston Martin. 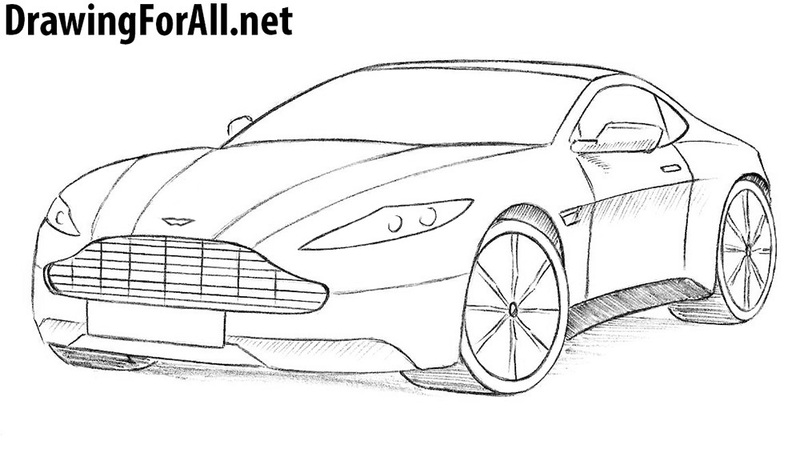 As you know, Aston Martin is an English manufacturer of prestigious sports cars. Aston Martin as well as such automakers as Rolls Royce and Bentley was founded in the early 20th century and since the middle of the 20th century turned into the main car in the stories about James Bond. 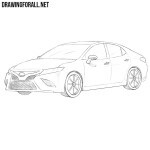 If you read our other lessons about cars you may have noticed that the first step in them is very similar – sketch out the basic contours of the car, consisting of the lower part and the roof. 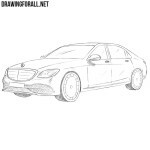 Outline the characteristic radiator grille and lines on the hood. On the sides of the radiator grille draw elongated and angular headlights, and under the radiator grille draw the registration plate and bumper lines. Using simple lines sketch out the windows and mirror. 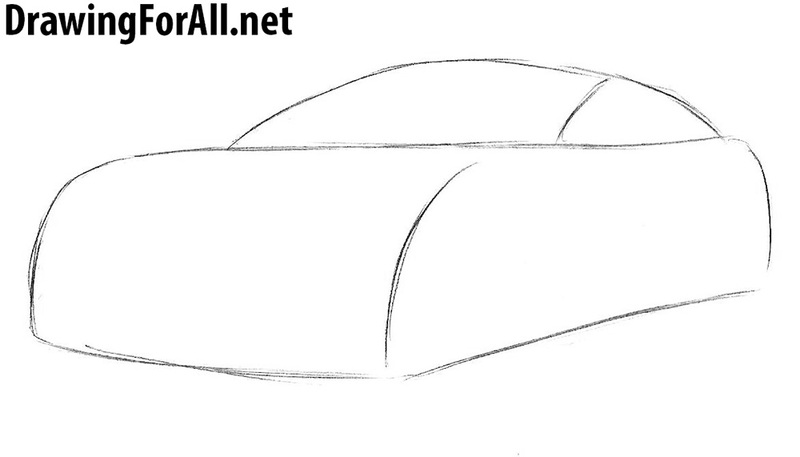 In the lower part sketch out wheel arches and wheels themselves. Also do not forget to draw the door lines. 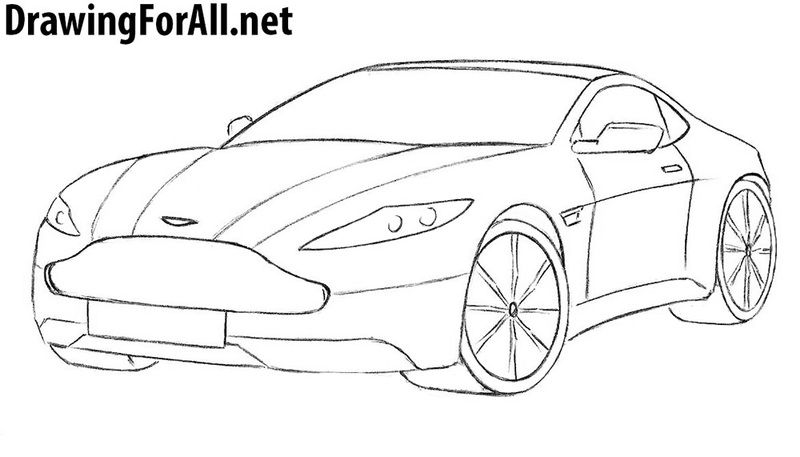 Let’s start adding details to our Aston Martin. 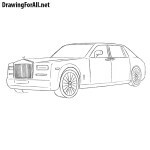 In that step using clear lines draw out the radiator grille, the registration plate and bumper. Continue adding details to the front of the car. 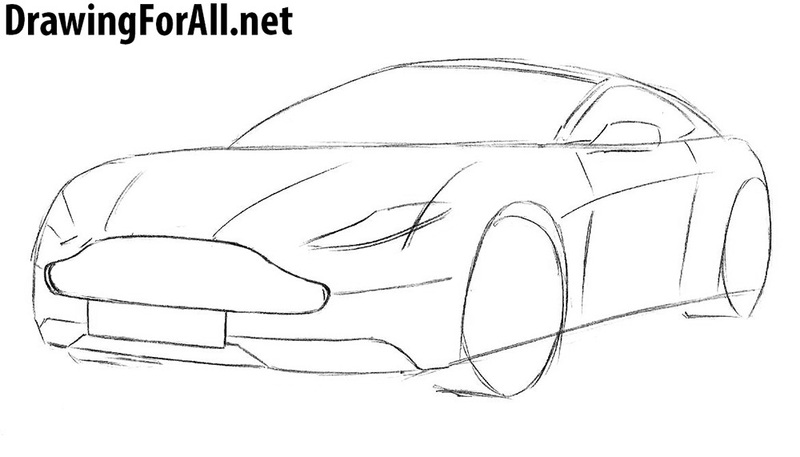 Here we just need to draw the headlights, hood, lines on the hood and Aston Martin sign above the grille. Let’s move to the top of Aston Martin and draw out the roof, lines of windows and mirrors. 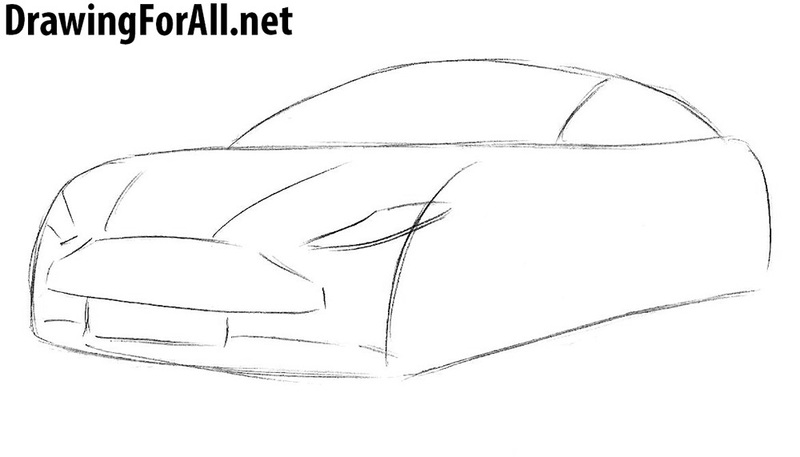 Note that the roof is somewhat similar to the roof of Ford Mustang. 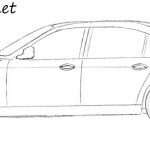 A very simple but no less important step – just draw out the rear part of the car, line of the door, handle and ventilation grille which is located next to the wheel arch. Draw out the wheel arches and wheels. From this point of view, the wheels are drawn in the form of ovals and arches in the form of semi-ovals. 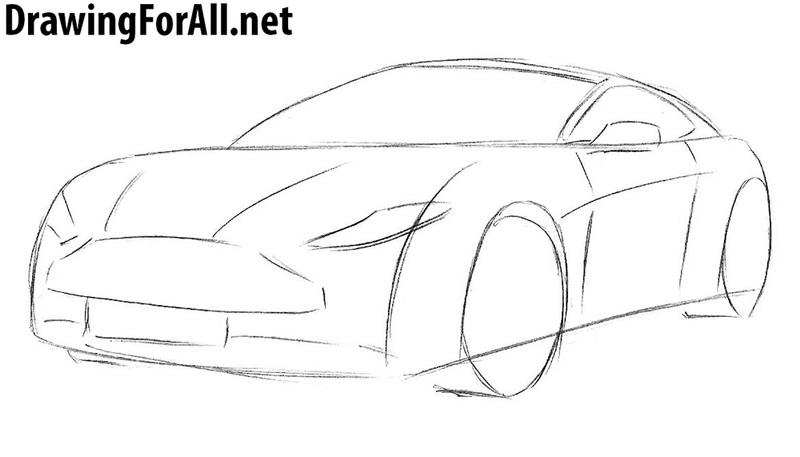 And at the end of the step, we draw the rims (in any shape you want). Using cross lines draw a texture of the radiator grill and add shadows using usual hatching. Under the car do not forget to add casting shadow. It was the drawing tutorial on how to draw an Aston Martin prepared by DrawingForAll. 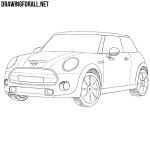 Do not forget that on our site there is a huge number of drawing lessons about cars. Do not forget to visit, read and share them. These drawings are great! Thank you! Thank you very much. And thank you for your kind words.